Alpha Guardian and its affiliated companies are always looking for individuals who live and breathe our Core Values on a daily basis. Our mission of “A Safe in Every Home” can only be done with the correct team members. We invite you to look around our website to learn more about Cannon Safe and to see if you feel you would be a good fit with us. Below is a list of job openings we currently have, you may always send your resume to csicareers@cannonsafe.com with the job title or your current job title in the header. Alpha Guardian is a LEAN Organization and practices those concepts and principles. Knowledge and/or the ability to learn LEAN concepts and principles are required. The ability to function in a LEAN environment is mandatory. Alpha Guardian is a privately owned company offering an excellent benefits package and the opportunity to advance within the company. Alpha Guardian is an equal opportunity employer. Leading Innovation, Service, and Secure Organization™ Since 1965. 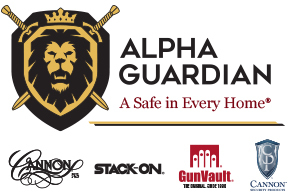 Alpha Guardian is looking for experienced individuals for a number of positions that will be based out of our Las Vegas headquarters, and will share our Core Values of Continual Improvement, Loyalty, Enjoy Hard Work, Actions Speak Louder than Words, Respect, Love Change, and Yearn to Learn (C.L.E.A.R.L.Y). If you share these Core Values, have a proven track record in a vacant position and are not afraid of hard work, then please apply for one of our open roles today. If you are interested in a career at Alpha Guardian please feel free to send your resume and cover letter to careers@alphaguardian.com. Or click on the links below to apply directly to open positions (if available). Making a career change can be nerve-racking, especially when relocation is involved. You have to be sure that the fit with the company and the new location are suitable for you and your family. Many of us here at Alpha Guardian understand your concern and want to help ease your mind. We’ve put together a list of why not only Alpha Guardian is a great place to work, but why Southern Nevada is actually a great place to live. What we do: Ask anyone at Alpha Guardian what we do as a company and the answer will always be the same. We develop people, and we strive to do this in and outside of the workplace. Team Building: Instead of working in individual offices and creating silos while we work, we all sit in an open environment conducive of idea sharing. We also participate in many team bonding activities such as trips to Mt. Zion and Mt. Charleston, paint balling, tough mudders, lunch potlucks, holiday parties, etc. Core Values: The Alpha Guardian team lives by a set of core values. These core values are shown on our company coin, which every employee carries with them at all times during the workday. These values keep us aligned and help us make important decisions throughout our day. Lifestyle: Southern Nevada has a lot to offer, more than just what is typically seen on TV. While walking the strip is a must-have experience there is so much more to the city than the bright lights. In fact, we have countless hiking trails and beautiful scenic areas such as Lake Mead, the Hoover Damn, Red Rock, Death Valley, and Mt. Charleston. Las Vegas is full of museums, famous shows, great places to eat, and world-class shopping! The city is also centrally located to many other wonders of the west coast like skiing in Colorado, the Grand Canyon in Arizona, Mt. Zion in Utah, and the beaches of California. Southern Nevada living: In addition to the beautiful scenery that you can see from any point in the city there are other benefits of living in Las Vegas, Centennial Hills, Henderson, Summerlin, or other surrounding cities. The cost of living in the valley is significantly lower than other major, growing cities. The average cost of a two bedroom home is only $142,000. Clark County school district strives to provide the best education possible to its students. Because of this the schools are grouped into performance zones, tailoring each educational experience to the individual student. Growth: The Valley area is constantly growing. In 2012, in an effort to enhance the downtown area, Zappos CEO invested $350 million dollars into The Downtown Project. Whether you’re walking around enjoying the local shops or driving through to get to dinner, continuous improvements can be seen throughout the Freemont area. Other projects around the city are sparking up excitement as well. The new T-Mobile Arena on the Las Vegas Strip, opened April 2016, brings an NHL team and the approval of the funding and construction of a football stadium brings hope of a NFL team in the near future. The building of these stadiums will increase the property value of the homes in the area, which is already expected to increase by 5-7% in the next year. Anyone on the Alpha Guardian team would love to answer any questions you have about what it’s like being a part of the Alpha Guardian team or living in wonderful Southern Nevada. We look forward to hearing from you!